Gigabyte GN-AR01G routers include a very basic firewall that helps protect your home network form unwanted access from the internet. Since this firewall blocks incoming connections you may need open a port through it for certain games and applications. This process of opening a port is frequently called a port forward, since you are forwarding a port from the internet to your home network. 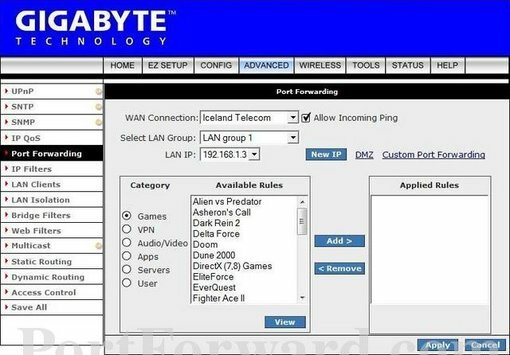 Login to your Gigabyte GN-AR01G router. 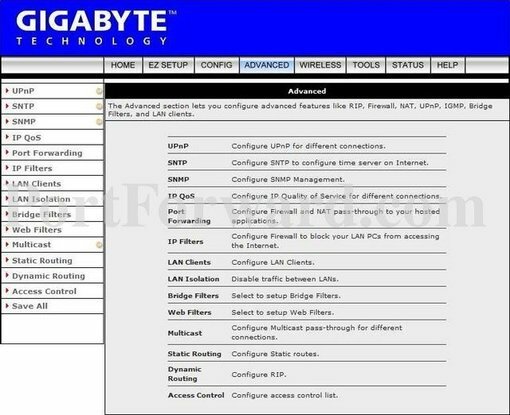 While these steps might seem difficult at first, we will walk you through each step for your Gigabyte GN-AR01G router. Now we are going to login to your Gigabyte GN-AR01G router. Your router has a web interface, so you will login to it using your web browser. This can be either Chrome, Firefox, Internet Explorer, or Edge. It usually does not matter which browser you choose to use. In the picture above the address bar has 192.168.1.1 in it. Just replace all of that with the IP address of your Gigabyte GN-AR01G router. Your router's IP address can also be refered to as your computer's default gateway. 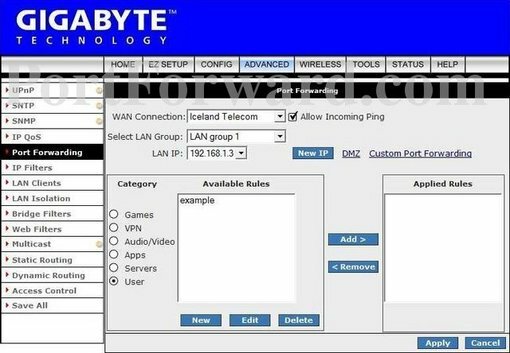 Enter your username and password, and then click the Login button to log in to your Gigabyte GN-AR01G router. If your username and password do not work then please visit our Default Gigabyte Router Passwords page. 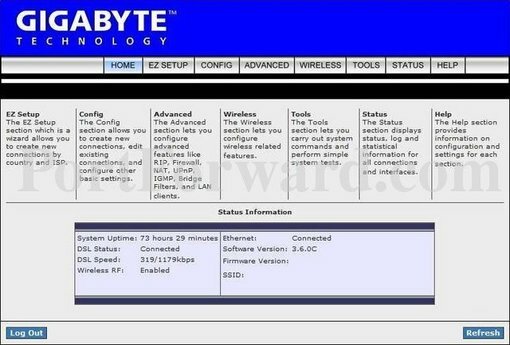 If you still can't login to your router because you forgot your Gigabyte GN-AR01G router username and password, use our How to Reset a Router Password guide to set your Gigabyte GN-AR01G router back to its factory settings. Click the Port Forwarding link near the left of the page. Click the New button near the bottom of the page. Make up a name to put in the Rule Name box. The name does not have any effect on the functionality of the forward, it's simply there so you can know why it was created. If you are forwarding a range of ports separated by a hyphen then enter the lowest number of that range into the Port Map, Port Start box and the highest number of that range into the Port End box. If you are only forwarding a single port number then enter that number into both the Port Map, Port Start and the Port End boxes. When you're finished, click Save All Settings near the left of the screen to save your changes. 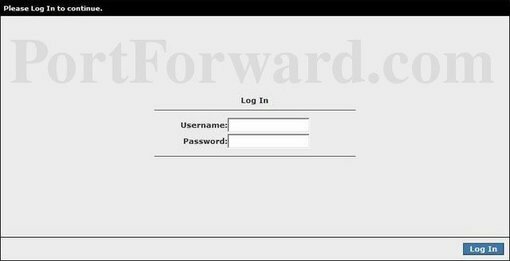 Now that you have forwarded ports on the Gigabyte GN-AR01G you should test to see if your ports are forwarded correctly.